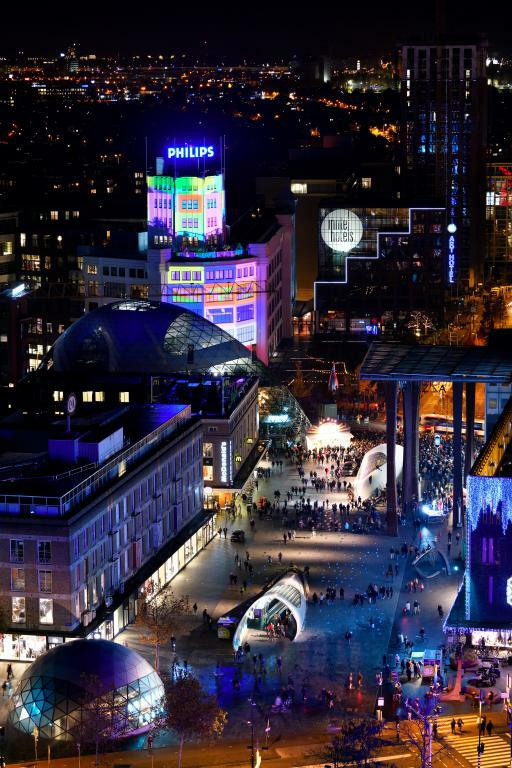 Eindhoven, the city of lights, is to the Dutch what Paris is to the world. Or perhaps not, but it should be. It is, in fact, the best-kept secret in the Netherlands. The city in the south of the country has interesting museums, famous landmarks, an annual light festival, historic sights, numerous shopping centres and a choice of restaurants with something for every taste and budget. Moreover, over the last decade industrial neighbourhoods have been gentrified, thus creating room for hip design studios, restaurants and city dwellers. Furthermore, Eindhoven has a thriving industry where high tech giants attract an influx of expats, mainly due to companies such as Philips, ASML and the world-class Technical University. Which is great news for foodies like me, as in the slipstream of expats, new restaurants surface every day, serving tantalising food from all over the world thus transforming the former provincial town into an international hot spot. The one thing that unfortunately hasn’t changed much since my days as a student is the weather. The one shade of grey is still the colour favoured by the local weather gods. That is on a good day. On a typically dark day, certain parts of the city can have a distinct dystopian feel to it. A minor issue, which we shall ignore for now. Another small issue is the size of the city. Which is, with only 229.000 inhabitants, modest by global standards, but the small-scale attributes to its charms. For one it makes it easy to explore the centre on foot. Or, when you have to go a bit further, do as the Dutch, cycle. Bicycles can be rented from the central station for only a couple of euros a day. The current form of the city is mainly due to Philips, an international tech company. At the beginning of the last century, Eindhoven was only a village of a few hundred inhabitants. With the arrival of the factory in Eindhoven, the cityscape changed dramatically with new working-class neighbourhoods (Philipsdorp) and the construction of industrial areas like Strijp-S area. Philips also sponsored a sports club, the Philips Sport Association (PSV) and built famous landmarks such as the ‘Evoluon’ and the ‘Witte Dame’. To get an impression of the role that Philips played in the development of Eindhoven visit the Philips Museum. This is located in the centre of Eindhoven. A standard ticket costs no less than 9 euros. A rather high price for what is actually a clever marketing tool for a company. Yet it is worth it if you want to live in the city or have an interest in the industrial history of the last century. Strijp-S used to be an industrial area, a former ‘forbidden city’, only accessible to the working proletariat, closed to the general public. The site was owned by Philips. Despite all those years living in this city as a student, I had never been in this area. Then, decades later, it turns out to be a hip & happening neighbourhood. Factories have been refurbished as modern lofts. The former Philips buildings in Strijp-S have been given a second lease of life. Now these buildings are home to hip new restaurants and form cultural breeding grounds for trendy businesses. This bustling part of Eindhoven now even has guided tours, organized by the local tourist office. To see the best of both worlds – old versus new -visit the Strijp Festival, held every two years, which explores scenarios for a positive future. The festival lasts 10 with visual art, exciting technological perspectives, performances, lectures and open discussions. The combination of old and new, technology and Design Schools make Eindhoven a hotbed for modern art. Even though, I never visited the places below they certainly deserve a mention in the ‘to do list’ according to locals. MU: zooms in on the hybrid visual culture of now and later. You will find an energetic mix of art, design, pop culture and new media. Van Abbemuseum is the Modern Art Museum in Eindhoven. The museum is named after its founder, Henri van Abbe, who established it in 1936 because of his love of modern. Albert van Abbehuis is an art gallery and cultural platform. TAC – Temporary Art is a place for art and talent development. The TAC building contains 80 workspaces for starting professional artists. The centre has a cultural program with exhibitions, readings, workshops and music. An excellent example of the new Eindhoven is also found in Strijp-S, the Piet Hein Eek complex, combining a shop, an exhibition area, a workshop and a cafe/restaurant under one name. The owner of the store designs furniture, lamps, kitchens, wallpaper, theatre sets and much more. The building is over 10,000 M². From the showroom and store, one can overlook the workplace. The restaurant, or rather more lounge café, is located in an adjacent building. An excellent place to hang out, have a cup of coffee and maybe also have a bite to eat, after looking at rather pricy ‘recycled’ furniture and works of art. Even more important is the Dutch Design Week (DDW) in Eindhoven. Each year the Dutch Design Week (DDW) takes place in October. Designers from all over the world present their work and ideas in more than 100 locations across the city. Another link to the history of the city and therefore to Philips, is Glow, which is a light art festival held annually in November in Eindhoven. Thecity centre is illuminated in all kinds of artistic ways. The projects are especially designed for the Light Festival that has a different theme every year. Nowadays, it attracts 750,000 visitors. Of course, it helps that the festival is free to visit. Another light’ festival is the ‘Lichtjesfestival‘, a unique and grass root event held every autumn to commemorate the liberation of World War II. It starts with a parade on 18 September, celebrating the liberation of Eindhoven in 1944 on that date. The festival aims to create an illusion of “fairytales in light”. Another important player in the history of the city is DAF (Doorne Auto Fabrieken). The Gebroeders van Doorne laid the foundation for the Van Doorne car factories in 1928. Nowadays the factory only produces trucks, but in the last century, they were an important car manufacturer with clients like the Dutch Royal family and Jacky Onassis, who all have driven the DAFkinini (picture below). These type of vintage cars can be seen in the DAF museum. They are small, candy-coloured and cute in contrast to the monster trucks they make today. The standard rate for a ticket is nine euros. Outside the city centre is the Grote Beek estate, which houses a Mental Health Care institution, a restaurant and a B&B. What is special on this estate is the graveyard De Grote Beek. This is a cemetery with many nameless graves of former patients of the psychiatric institution. At the entrance of the cemetery is an impressive monument in memory of these anonymous dead. Stay at B&B Landgoed de Grote Beek. The guesthouse has nice rooms, with comfortable mattresses, shared bathrooms and a good breakfast. Take bus 8 to the city. Yoghurt Barn, Nieuwstraat 28, for a healthy and delicious breakfast or brunch. Apperently not unique for Eindhoven, still I like it. Kazerne, also hotel and exhibition space, Paradijslaan 2-8. Here they serve freshly made pasta. Down Town Gourmet Market, an international food plaza on the Smalle Haven. Choice of Vietnamese, Indian, Afghan, Italian, Dutch, American and many other cuisines. De Vooruitgang, a snack bar on Markt 11. The former Philips transformer house is now called Het Ketelhuis and is now a hip eatery in the trendy Strijp-S district. De Stadsbrouwerij, an excellent location to taste different speciality beers and different snacks. Address: Bleekweg 1. In and around Eindhoven you will find several Michelin-star restaurants. The city centre alone boasts three 1 -stars. Unfortunately I could not try these myself, you just have to trust the Michelin guide here. De Effenaar is a multi-purpose pop venue with a restaurant, cafe and its own back garden. Address: Dommelstraat 2. Dynamo is a dynamic youth centre for music, dance, art and sports. Address: Catharinaplein 21. Outside the centre, on the southside of the city, but inside the ring, you will find the Genneperparken: a combination of nature, food, culture and art. Eindhoven has a small international airport. From Central Station, a bus runs every 10 minutes to the airport. At the Central Station, one can take the train, bus or rent a bicycle. There is also a secure bicycle storage area. Netherlands is a small country but there is lots to do and to see besides Amsterdam. Historic cities, nature and attraction parks and yes we have flowers. Why is Rotterdam so much more fun than Amsterdam? Where can you get a good meal? How do you recognize a Rotterdammer*? Which attractions are worth seeing? Cycling across the Netherlands via the ‘Pieterpad’, a long distance trail from the southern tip to the North of the country. Follow this blog and sign up for the newsletter. With thanks to my fried Marisa, who showed me around Strijp-S, Piet Hein Eek and a few of the restaurants mentioned above.